manage crops. 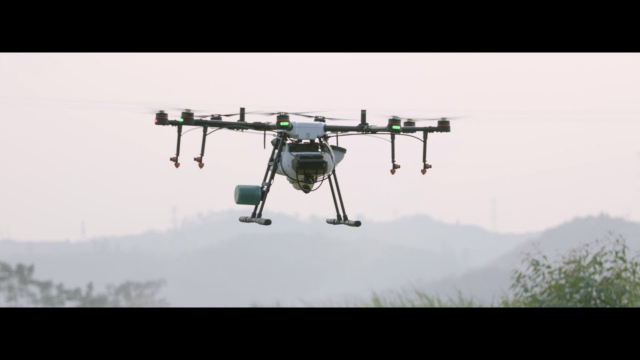 This spraying drone dramatically increases work efficiency with the ability to pre-plan routes and control up to five aircraft at once within a 3-km range. Enjoy safe, reliable flights with automatic obstacle avoidance and altitude adjustment, and monitor progress with real-time HD video transmission. Find out how the MG-1P can help you . i dont have a farm, but, i want one! multi aircraft control? thats how i want to spray my crops! Automatically fly away, do programmed work and then land, without pilot. Landing station, where the drone lands and automatically recharges until the next programmed work is waiting. Then e.g. wineries could adjust all this once and afterwards the drones fly off e.g. every day at 8 o'clock and water the fields. There is no need to hire an extra pilot. One farmer can control up to 5 at a Time but it takes 5 farmers to be able to afford 1 aircraft.